60 Plastic Gold Coins,1.5 Inches Each. Enhance imagination, and teach children skills like patience, cooperation, problem solving and creative play. 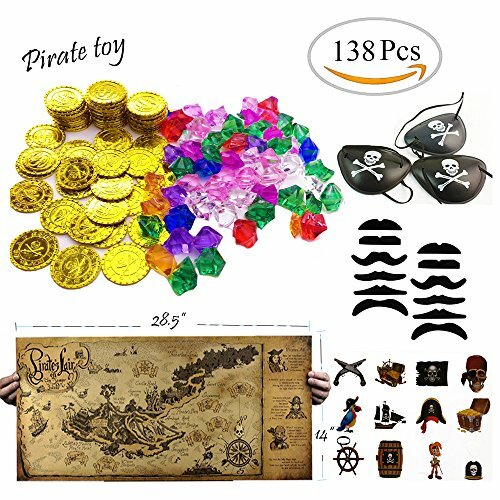 In the spirit of playing pirates, princess, king or queen let their imagination flow, and let the fun begin! This item is a great value! NOTICE: We do not sell wholesale so there should be NO other sellers; Any other sellers are illegally selling their own products using our registered Trade marked company name. In this listing, purchasing from any seller other than “TKOnline” will result in a potentially faulty product that may be unsafe and cause injury. Please be sure to purchase this product from the “TKOnline” seller to avoid any problems with your product and to ensure both your safety and satisfaction. Manufacturer’s warranty included only when purchased from TKOnline. 24 hours friendly customer service. 100% refund if there is any quality problem.